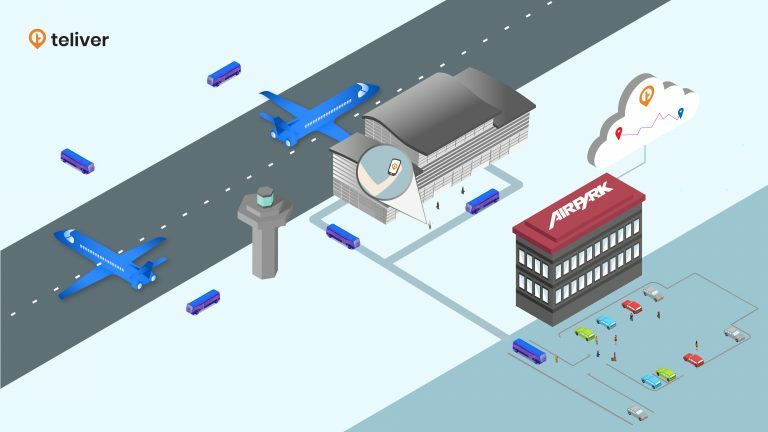 How AIRPARK uses Teliver to manage their shuttle operations? Airpark pdx is a Shuttle booking application, this project works in a way of customer can request a shuttle in his customer application & live track the driver’s location assigned to the booking, the admin in his application can view the requested booking and the list of available drivers and his location in maps and assign the task to the nearest driver. The Driver has a separate application where the admin assigned task will reach him and he will receive a notification in his mobile for the assigned task. He can accept or reject and initiate the task and complete it. This scope can be achieved by customized solution TELIVER. While requesting a shuttle, customer finds hard to live track the driver’s location assigned to the booking. Similarly admin too finds hard to manage drivers and customers. But by using Teliver things becomes easier. Using Customer application they can request a shuttle and live track the driver’s location assigned to the booking. All the requested bookings and list of available drivers with their locations can be viewed by admin via his application. Admin can assign tasks to the nearest driver. The task will reach as notification to the driver via his application and the driver can accept or reject the task. Thus Teliver, a customized solution helps AIRPARK to works its shuttle booking in a straightforward and trouble free manner. Teliver is a Saas based real time live location tracking solution. Teliver can be employed in any sort of delivery service no matter how many delivery persons you have. Teliver contains a module TASK that provides the way to manage your deliveries in various means. Task Management provides you a way to create your drivers, assign task to them and categorize your driver based on location he allocated, his working hours and his domain. In this case, Task Manager provides a way to do all the modules of Airpark application by integrating Teliver. Teliver provides a way to Live track a driver and sends push notification to driver when task is assigned to him. The admin should register driver in his application. The driver information includes driver name, driver id, and mobile number. Teliver provides API’s to create a driver and all modules of the admin application are already available as Teliver methods. So Teliver plays a vital role in Airpark Admin. The airpark customer application works by requesting shuttle booking and confirming the booking once the driver is assigned. The shuttle booking is achieved by Teliver API’s. The shuttle is booked in the customer side of Airpark application. The TeliverAPI’s provide the way to create a task. For all the main modules in customer application the Teliver can be integrated easily and used to create shuttle booking service, registering driver and assigning task to them. Customer can track the driver location in maps easily by integrating Teliver SDK. The Airpark driver application consist of modules encapsulated such as showing the assigned booking, driver accepted booking and starting a ride. All these can be done using TELIVER. The driver can start a task using Teliver method so that the customer can live track his location. The driver will complete the task using Teliver method and gets his rating from the customer. Are you searching for a platform that provides Live tracking API, SDK? Then Teliver is the right choice. Without delay reach us and we are ready to support.